Want to know more about the different law courses you can enrol on? Whether your interested in an LLB, GDL, LPC, BPTC, CILEx Courses or Law Apprenticeships, this page tells you everything you need to know to get ahead! Are you thinking about becoming a barrister, solicitor, chartered legal executive or paralegal and wondering which law courses you need to take to set you on your path? You’ve come to the right place! 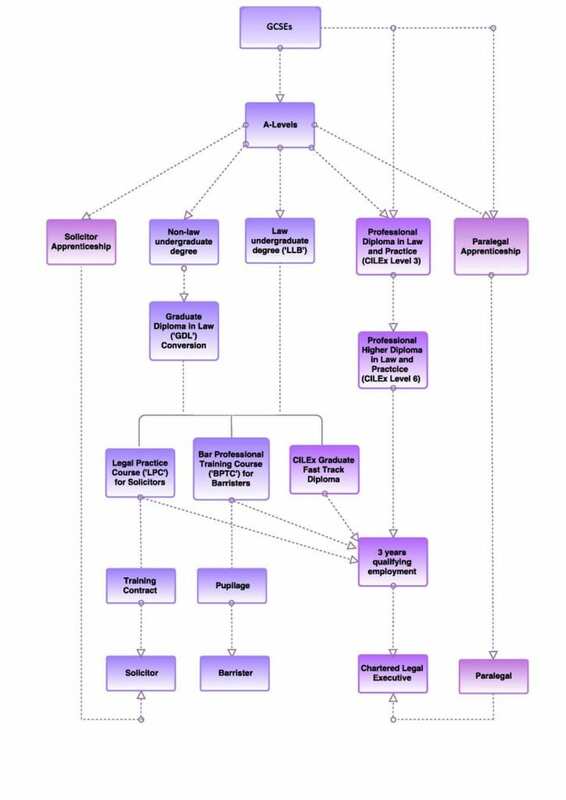 Keep reading to get informed and get ahead – and scroll down to see a flow chart of the different pathways to law! Law Courses – I Have Completed a Non Law Degree – What Next? 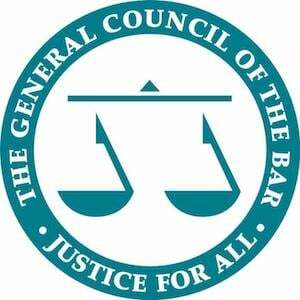 If, on completion of a non law degree you decide you want to pursue a career in law, you must complete a law conversion course such as the GDL. This effectively ‘upgrades’ your existing degree to a qualifying ‘law degree.’ You will spend 1-2 years studying all the compulsory modules of a law degree including tort, contract law, constitutional law, EU law, property law and equity and trusts. Law Courses – I have completed a Law Degree or the GDL – What Next? If you have completed a qualifying LLB law degree or the GDL the next step is to take the plunge and decide which career path you want to tread. This is where the road splits, so to speak. If you decide to become a solicitor, you will need to complete the LPC. The LPC is 1-2 year a vocational course designed to equip you with skills (such as interviewing, advocacy and legal research) and legal knowledge (in areas such as business, litigation and property law) which are required to successfully practice as a solicitor. Should you decide that the court room is more your thing and you want to train as a barrister, you will need to complete the BPTC. The BPTC is a 1-2 year vocational course designed to arm you with the skills and knowledge needed to successfully practice as a barrister.the study of evidence, litigation, sentencing and advocacy are just a few of the topics you will cover. If you decide that you would like to continue on a more academic path, deepening your knowledge in a particular area of law, you may want to consider an LLM. Law Courses – I have completed GCSEs / A-Levels and Don’t Want to go to Uni – What Next? If university just isn’t your thing or you are keen to avoid costs associated with higher education, you may want to consider applying for a legal apprenticeship. Completeing a law apprentiship will lead to qualification as a paralegal, chartered legal executive or solicitor. Legal apprenticeships can be commenced following A-Level study and essentially involve a combination of learning on the job alongside some academic study. There are even opportunities to start your legal career following completion of GCSEs. You can enrol onto a two year CILEx Level 3 Professional Diploma in Law and Practice, following which you can advance onto a two year CILEx Level 6 Professional Higher Diploma in Law and Practice. Wondering what the different pathways to law are? Whether you’re looking to complete an apprenticeship after your GCSEs or the LPC after your LLB law degree, there are many different routes to law – whether you’re interested in becoming a barrister, solicitor, paralegal or chartered legal executive. The flow diagram below shows all the different pathways to law, from GCSEs to qualification. Want to find out more about the LPC? This page tells you everything you need to know, from course content, to applying and top tips to get ahead. Find out more about the BPTC - what it involves, how to apply and top tips for BPTC success!